If you’ve been working as part of a company’s management division, then you’ll know how the process works whenever you receive important documents. Once you receive these documents, you don’t just take them and not update the sender. You have to send out a letter which states that you have received the item/items and that whatever information you read will be used in line with company policies and procedures. This is the reason why one has to learn how to create acknowledgement letters which can do just that. 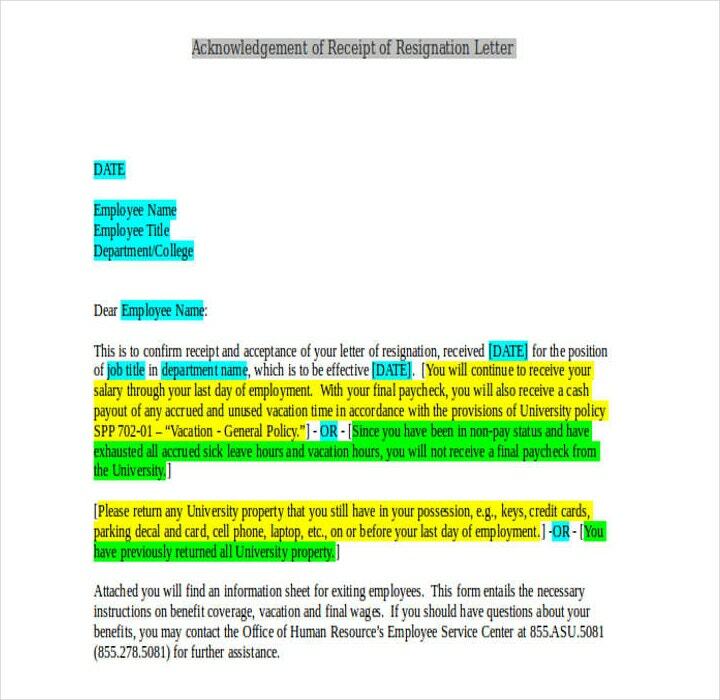 This article will provide information on the different types of acknowledgement letters, as well as how to make them. This is a type of letter that contains information regarding all of the items that are involved in a particular training session. It’s also a letter which hands out assurance to the receiver regarding a specific person who attended all of the programs that he or she was assigned to take during the training session. So what this basically does is provide information regarding the specific details of a training session, as well as those who took part in it. What is a training completion acknowledgement letter? It can be shown to the employee’s supervisor to assure that the employee was absent from the office due to the training that he or she was required to attend. There have been many cases wherein employees were unfairly reported as absent while they took part in company training, so having this document will definitely help avoid related issues. It’s a document that serves as proof that an employee was able to take part in as well as finish a specific training program. Many employers will require employees, especially those under probation, to undergo training. So having this document will definitely help in the event that an employee’s training completion is under question. It can be a document that an employee can add to his or her personal profile. This is especially great if the training is related to the employee’s work functions and field of expertise. This basically makes the employee look really good in the eyes of superiors and it can help in the event that the employee becomes a candidate for promotion. Just about every business requires that their employees, and those who are directly involved in their projects and activities, take part in safety training programs. The reason for this is because these people should know how to avoid and what to do in the event of an incident that could jeopardize their safety. So safety training acknowledgement letters basically act as a safety report by which it tells and assures an employer that those that were able to participate in the safety training were taught all of the safety rules and regulations needed in their profession. You have to remember that safety is always going to be a top priority no matter what company you work for. So if you’re a person who’s part of the management division in a company, then you’re going to need these documents to guarantee that your employees know all about your company’s safety rules and regulations. 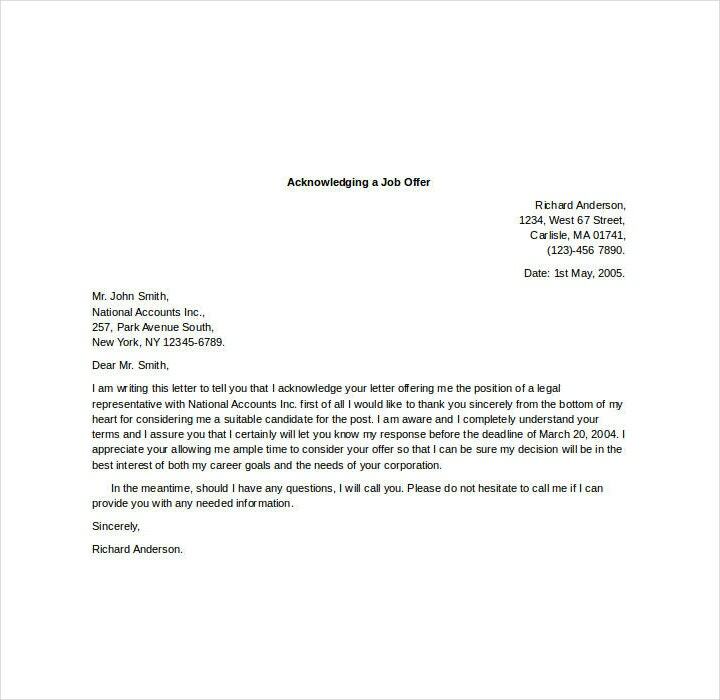 What is a receipt acknowledgement letter? 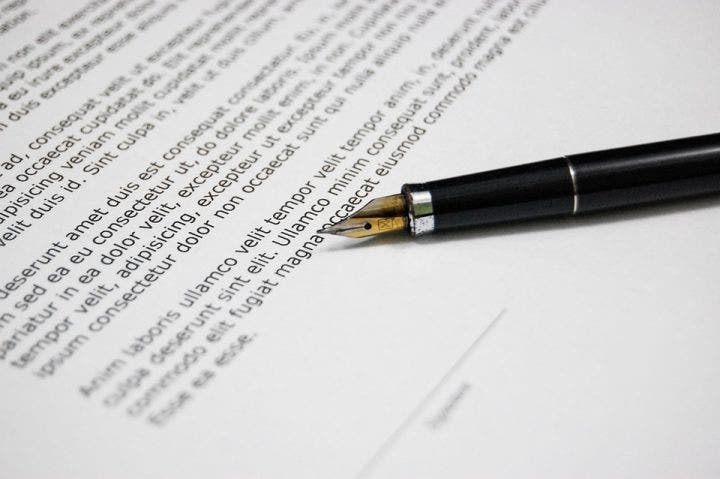 This is a document that’s used by a business or individual on the receiving end of a transaction to show that they have already received the offer, complaint, appeal, or even request provided by the other entity. This is basically a letter that assures one of the parties in a transaction that the items have been delivered and received by the other party who has written the acknowledgement letter. 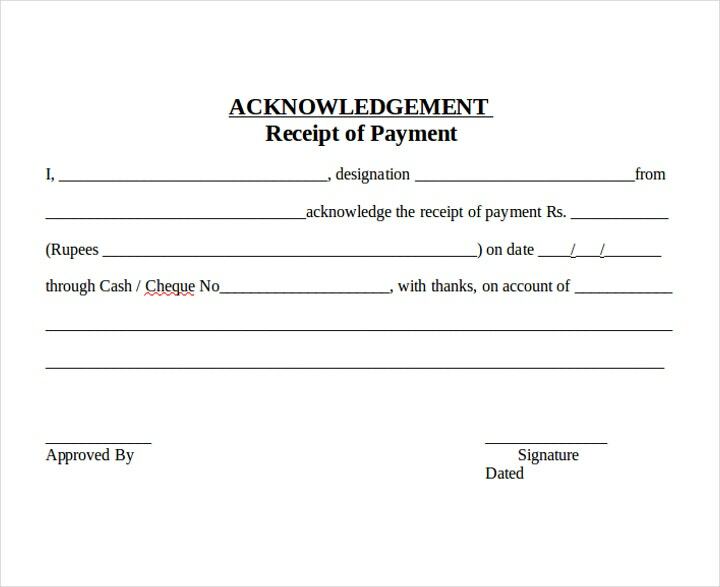 What is included in a receipt acknowledgement letter? It assures the other party that you have received whatever item was sent over to you. Basically, it can be used as evidence should there be any questions regarding who received the item, when it was received, and to whom it was sent. It is a formal way of closing the transaction if there are no longer any concerns regarding the particular item or items that were received. So if you feel that there are no longer any problems with whatever was sent or received, then this letter will act as proof that the transaction has been finalized. It is a formal and professional way to handle the transaction as well as relay information on how the transaction came to be. So in the event that certain situations arise which require information regarding a particular transaction, then you can pull out this file to help you out. 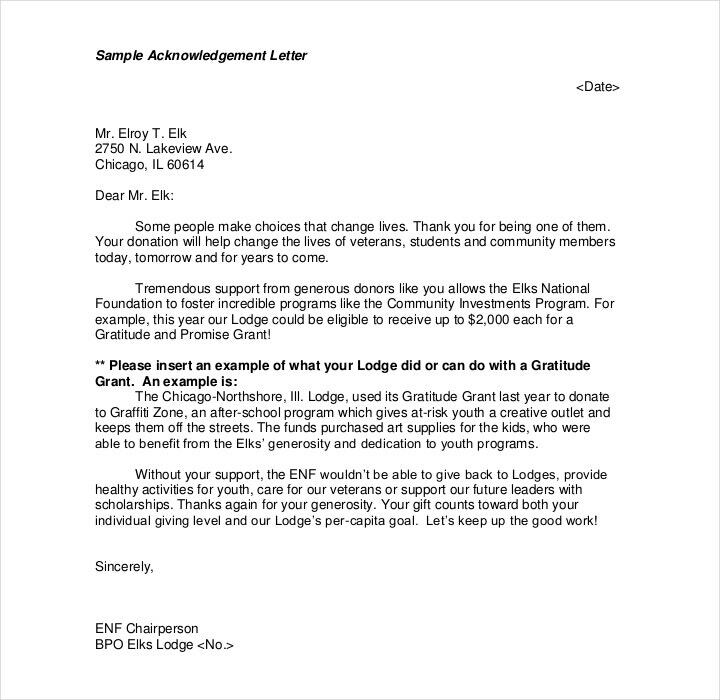 Offer receipt acknowledgement letter. This is the kind of document that shows and confirms that a person is aware of an offer being given to him or her from another party. 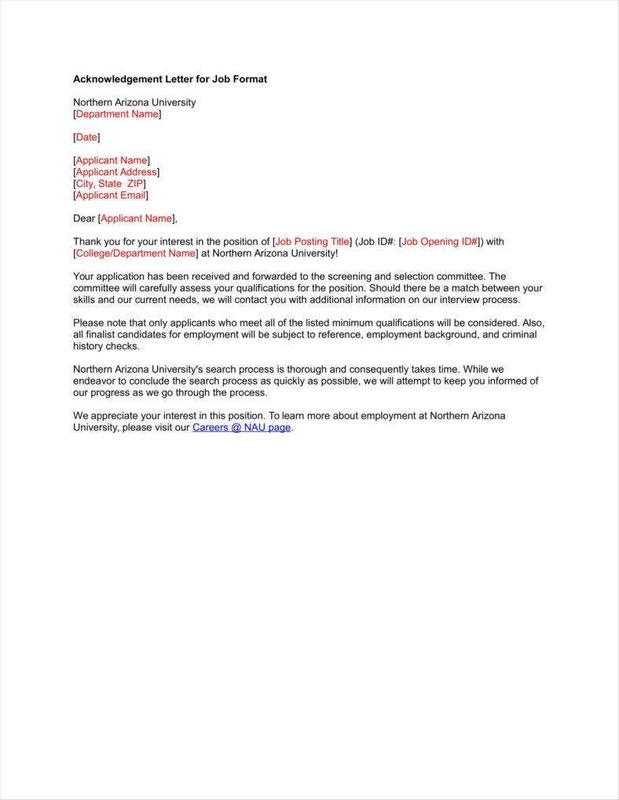 This also shows the decision of the sender regarding whatever he or she is being offered. So you can use this letter to show that you’re interested in the offer, or that you’re better of negotiating or finding better deals. Payment receipt acknowledgment letter. This is usually made during business processes and transactions that provide information regarding the monetary equivalent of whatever service was provided or what product was purchased. 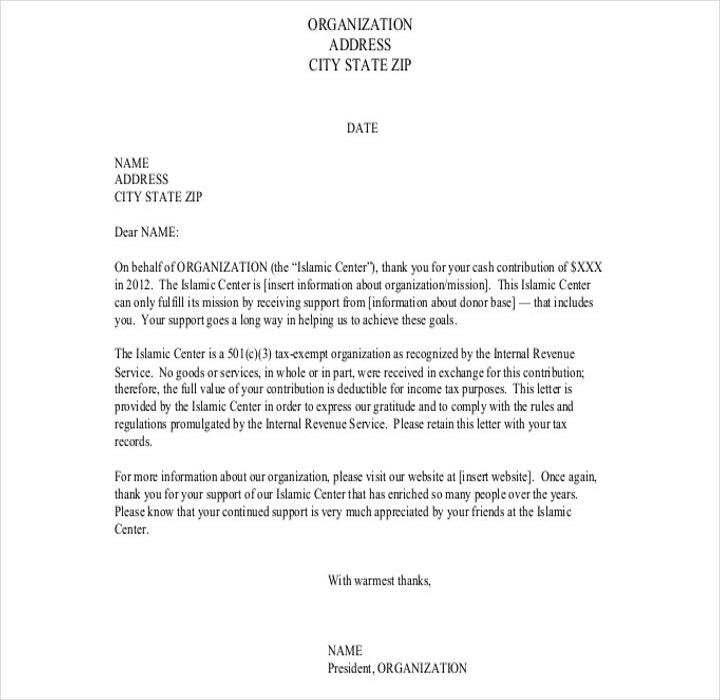 This can definitely help out in the event that one has to do expense reports in the company as this letter serves as proof that a transaction has been made. Application receipt acknowledgement letter. This is usually given by a business or individual who has been able to receive an individual’s application for a lease, a job position, a membership, or even for volunteer participation. 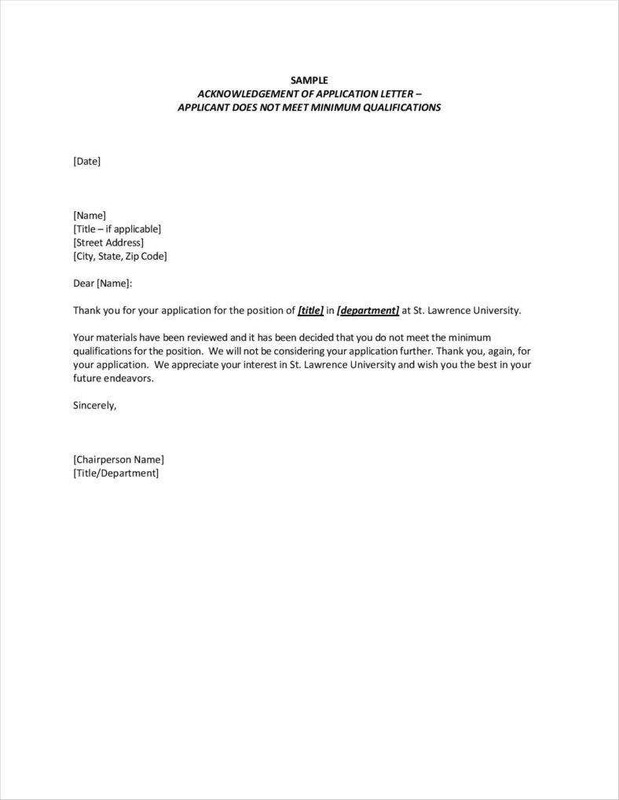 This will tell the individual that his or her application is being reviewed and should also state that he or she will be contacted after the results have been finalized. Property receipt acknowledgment letter. 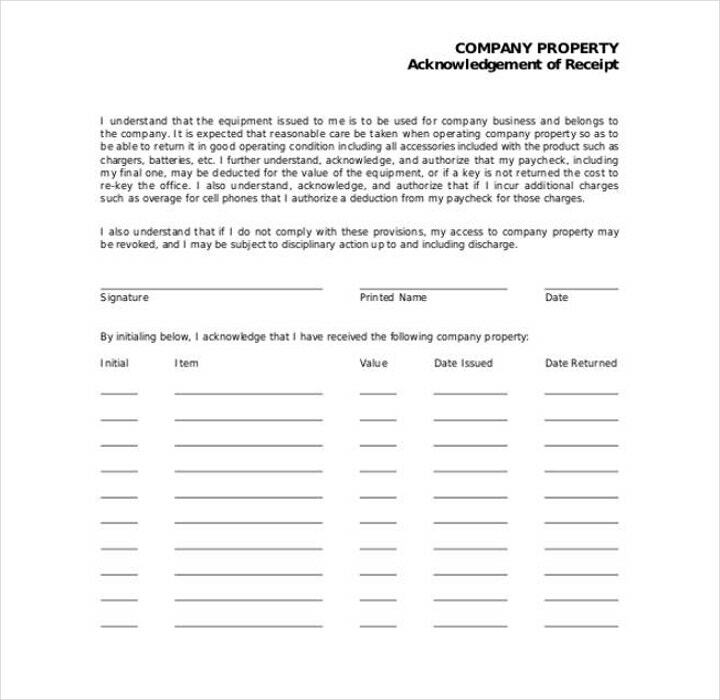 This document is usually sent by the caretaker or the owner of a particular property. This tells the recipient that the request for maintenance or any other tasks and activities related to the property has already been accepted. So basically this helps during certain situations such as you need to know whether your landlord was able to receive your request for property maintenance. 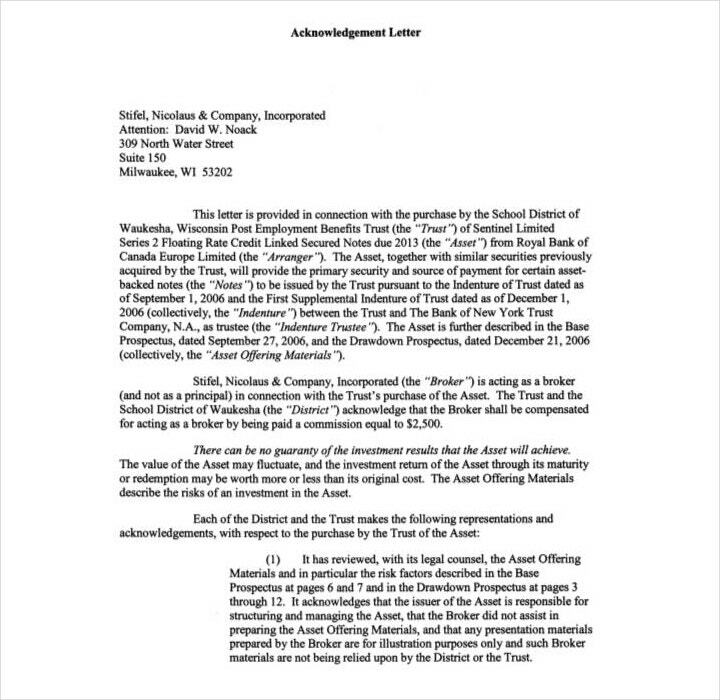 What is a company acknowledgment letter? There always comes a point where an employee decides to leave a company. There are many reasons why an employee would want to do so, but once he or she hands out the resignation letter, then it’s the job of the employer to know what to do upon receiving it. So let’s say that you’re the employer and you have received a resignation letter, what you’re going to have to do is send the employee a resignation acknowledgement letter. 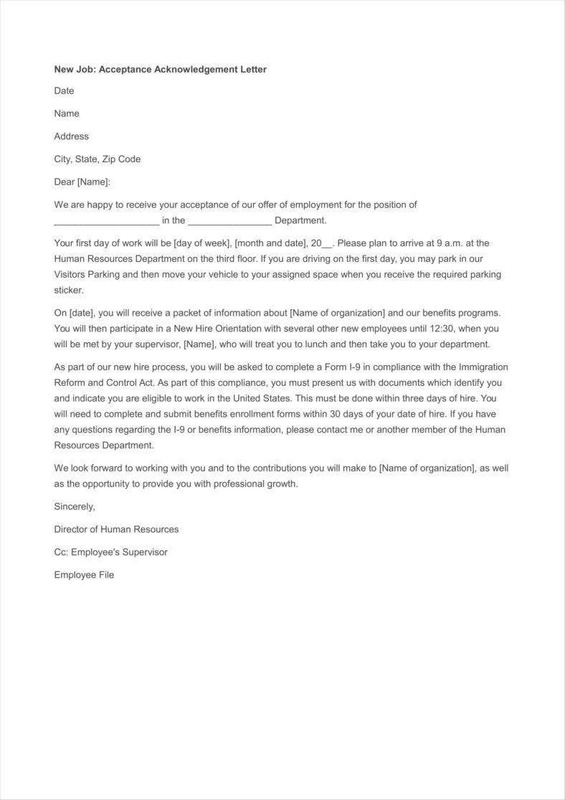 This is the type of letter an employer sends to an employee that shows that the letter of resignation has been received and that is contents have been thoroughly read and understood. 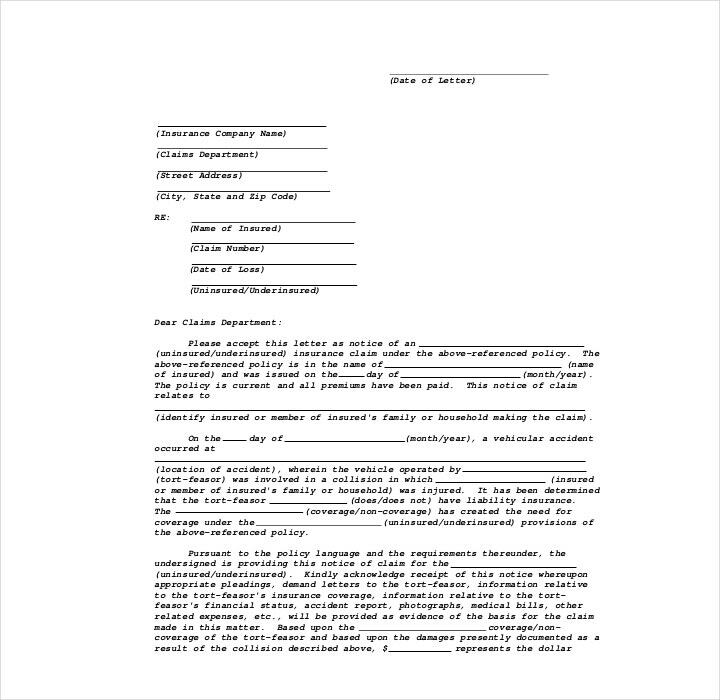 You have to make sure that you use the appropriate business letter format. You’ll want to make sure that the employee receives a professionally written letter as it gives him or her an image regarding how the company is being run. 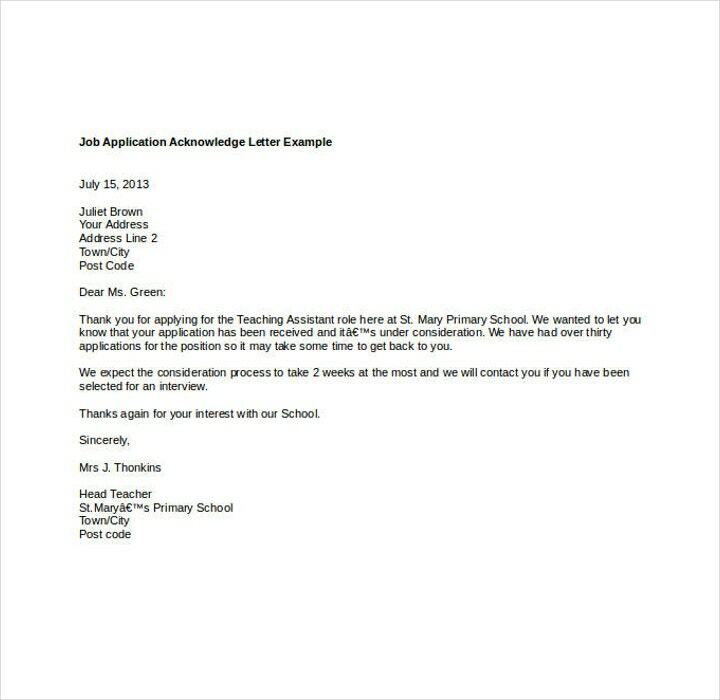 So the first step when using the business letter format template is to provide the employee’s contact information as well as yours at the top left corner of the letter. Then you are going to have to place your signature on the bottom portion of the letter and place your name right below it. 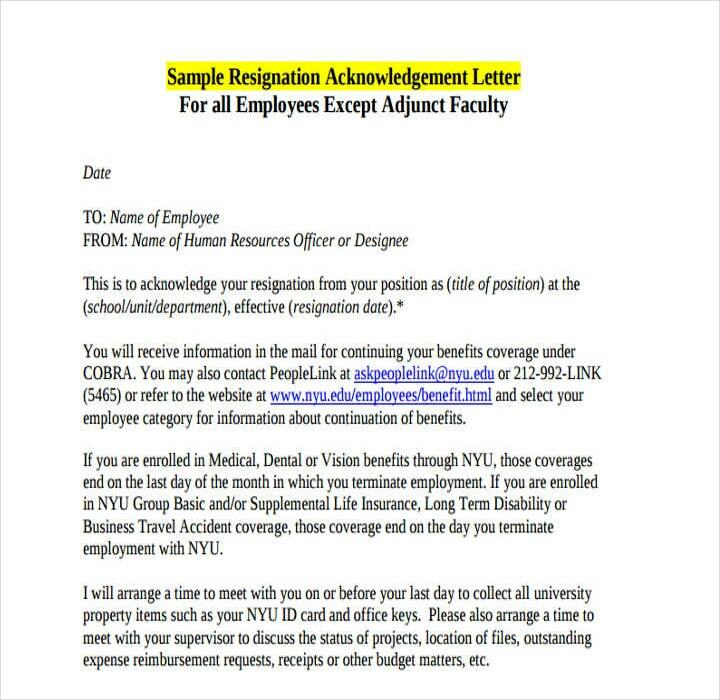 Show the employee that you were able to receive and accept his or her resignation letter. This should be written in the body of the letter. 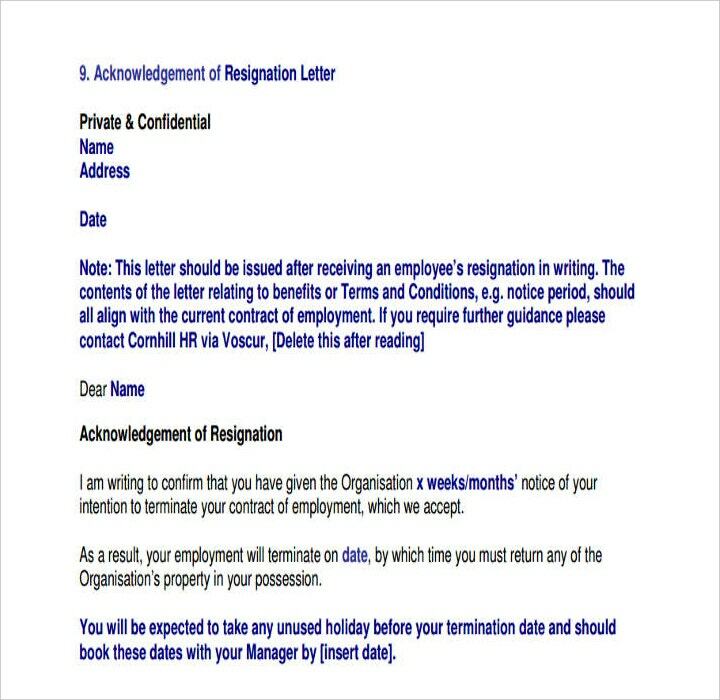 You have to state that you have received the resignation letter, gone through its contents and that you have accepted the employee’s decision to leave. You will then have to write down the employee’s final date of employment. You have to be sure that all of this information is written in the letter as this will be going straight to the resigning employee’s records. Express in your letter that you understand the employee’s reasons for wanting to leave your company. It’s never a good thing if an employee decides to leave, especially if it’s someone that you know that your business could have benefited from. However, no matter how much you don’t want these people to leave, you have to show that you accept and respect the employee’s decision to leave. So while you’re writing the resignation acknowledgement letter, indicate that you regret the loss, but that you have also accepted the employee’s decision to resign. 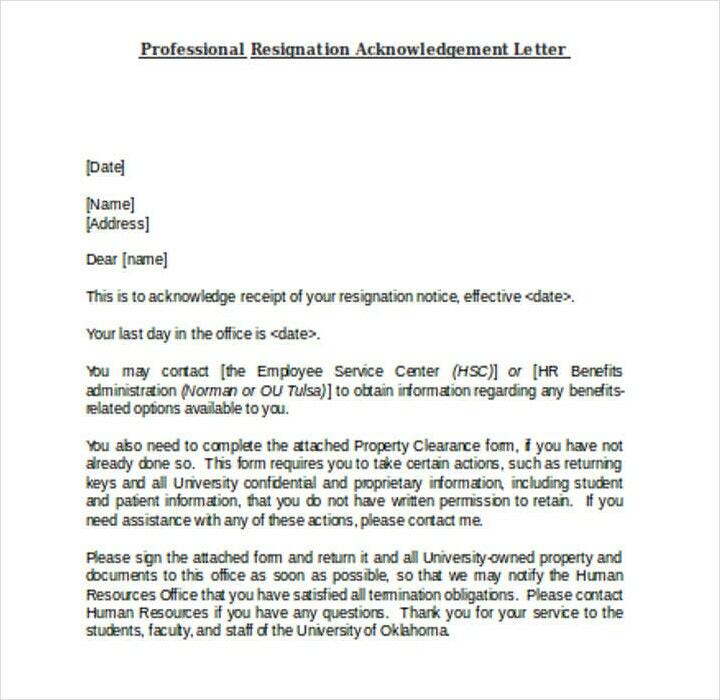 Once you have finalized everything, make sure that you keep a copy of the resignation acknowledgement letter before you send it to the resigning employee. 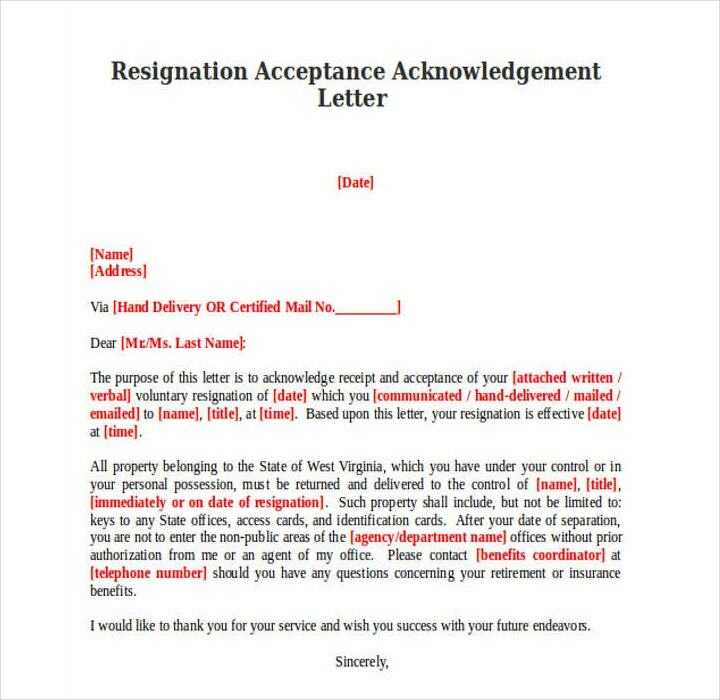 The reason as to why you have to do this is that there might come a time when the information in this letter will come in handy during particular situations; an example of which is if the resigning employee decides to come back and work for your company once more. 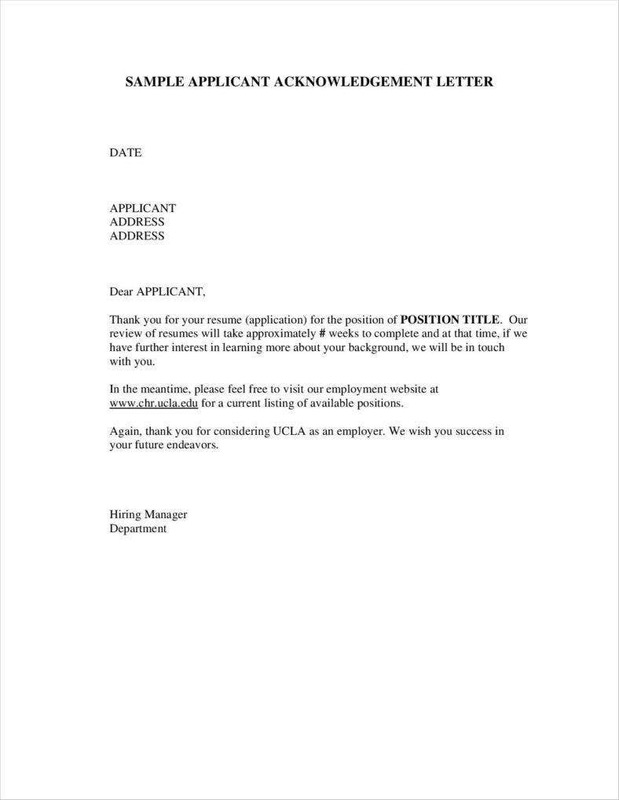 The letter can help determine whether the employee is worth taking back, or if it’s better than he or she finds other opportunities. As an employer, it’s your job to develop a system that allows you to properly handle the situation of receiving an employee resignation letter. So when an employee does decide to resign, he or she is going to come to you to learn about all the procedures regarding how he or she can transition out of the company as smoothly as possible. So long as you’re able to develop a proper system, then there shouldn’t be any problems. What you’re going to have to do is provide the employee with the steps that he or she needs to learn, as well as a detailed outline of the structures regarding things such as severance packages, resignation notices, and even the employee’s final date of employment. Try to see if you should make a counteroffer for the employee that’s about to leave your company. There are only two types of employees when it comes to leaving your company: there are the ones that you want to keep, and the ones you don’t mind losing. So go over the employee’s performance records and check out how long this person has worked for your business and how he or she has performed. If you see that the employee is one that you want to keep, then make a proper counteroffer that will prevent him or her from leaving. However, should the employee decide not to accept it, then you’re going to have to state in the resignation acknowledgment letter that you understand the decision but regret the loss of a valuable employee? Make sure that you protect all confidential business information that the employee may have access to. 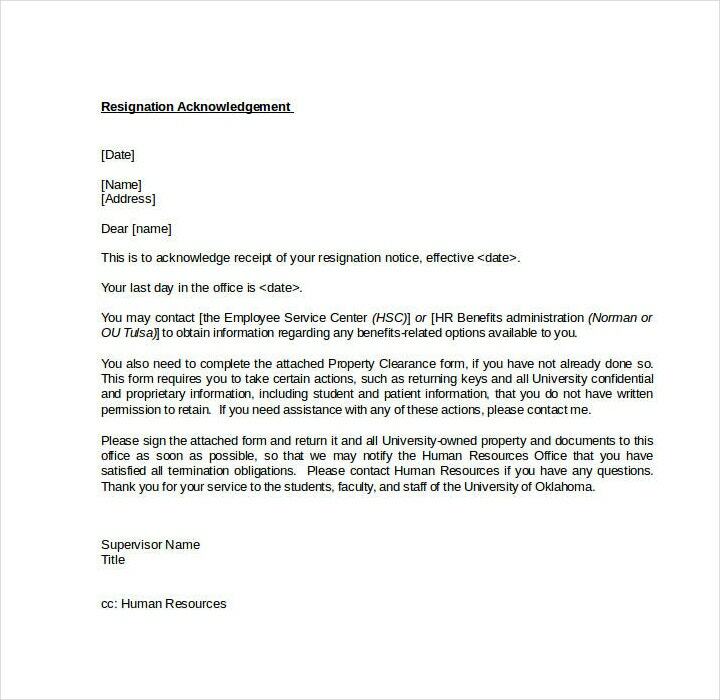 If the employee that’s about to leave still has access to things such as company credit cards, electronic devices, laptops or basically any other kind of company property, then you have to state in the acknowledgment letter that you expect these to be returned immediately. Once these items are returned, you’ll have to eliminate any and every means of access. That means you’re going to have to do something like changing the employee’s login information to ensure that he or she is no longer able to go through company information. If the employee was made to sign a non-compete agreement from when he or she was initially employed, then you and the employee are going to have to discuss and go over it once you have received his or her resignation letter. By doing this, it ensures that the employee knows his or her limitations, as well as the consequences in the event that the employee decides to share or make use of confidential business information for his or her personal gains. Before the employee resigns, you have to guarantee that all company projects or activities that he or she was assigned to do are complete. If you just allow the employee to leave without getting any of these activities done, then it will give more work to your next employee and cause problems that will definitely disrupt the productivity and performance of the company. So you’re going to have to tell the employee that these projects and/or activities have to be completed before he or she can properly exit the company. However, if the employee cannot complete them and must resign on a specific date due to certain reasons, then you’ll have to tell that employee to provide a project report of the sort which states what has already been done and what has yet to be completed. You must also tell the employee that he or she must provide a list of all the important information that his or her replacement will need to know when taking over the position. Establish the date as to when the employee may leave the company. Typically, Human Resources would require that the employee gives at least a two-week notice before leaving the company. This amount of time ensures that everything can be taken care of and that the employee can exit the company without any problems. However, the higher the position of the employee, then the more time it will take him or her to take care of certain tasks. If that’s the case, you’re going to have to state the employee stays a bit longer than intended to ensure that his or her responsibilities are taken care of before resigning. So make sure that you acquire the employee’s resignation notice to know when the employee leaves, and to know if you should tell the employee if he or she should extend the time before leaving. Try to find a worthy replacement to fill in the position that the employee is going to leave behind. If you have accepted the employee’s decision to leave and that the resignation is final, then you’re going to have to start the replacement process as soon as possible. What you’re going to have to do first is to go over all of your company’s current staff to see if there is anyone who has the capabilities as well as the necessary qualifications to take over the role that’s being opened up. You can even ask the resigning employee for suggestions on who would be the best person to take over the position. If you have gone over all of the employees and see that there is nobody capable enough, then you may start the process of taking on external candidates. The last step in the process is for you to conduct an exit interview with the departing employee. Before you and your employee say your goodbyes, you’ll need to learn about all of his her experiences working for your company. By conducting the exit interview, you’ll be able to learn how your employee felt while working under you, as well as learn about possible problems that could have played a role in the employee’s decision to leave. With the help of these pieces of information, you’ll be able to fix the issues to ensure that the replacement will not encounter them, as well as make changes that can help ensure that the replacement won’t have the same experience. So try to get the resigning employee to be as honest as possible so that you’ll be able to know what was done right and what was done wrong. So during the discussion, you’re going to have to pay close attention to help you better understand the kind of replacement that your company needs. This will also allow you to adjust the expectations that you have for the candidates that are willing to take over the position. 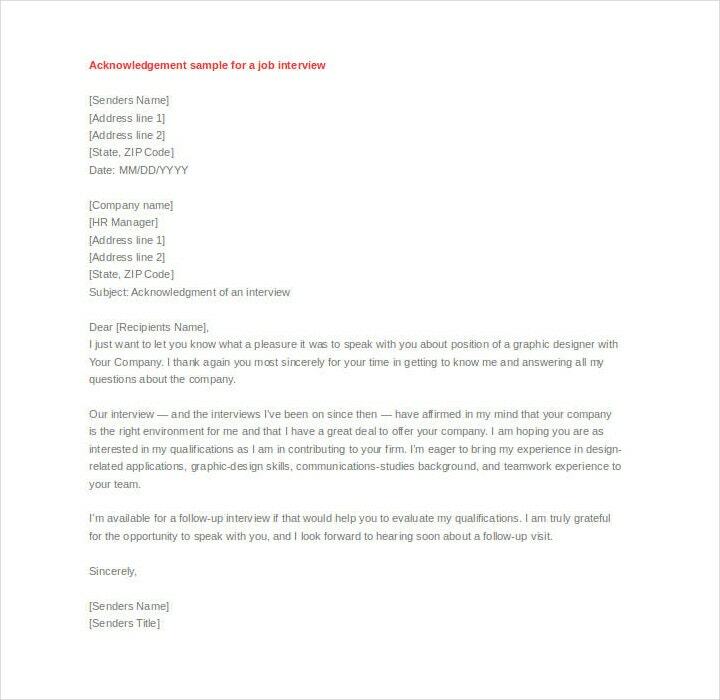 In the event that you would like to know more about how to write and use acknowledgement letters, then you can go through our available articles that should give you all of the information that you need.